Australia’s real estate world is a multi-billion dollar industry. Every week, tens of millions of dollars’ worth of property changes hands. The people who control this industry are the nation’s real estate agents. 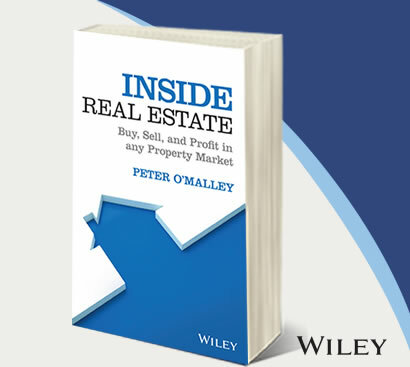 In this ground breaking new book, real estate agent Peter O’Malley breaks ranks with industry spin and uncovers exactly what goes on beneath the slick promises, the fancy advertising and the craftily worded press-releases that are made to entice sellers and buyers into the arms of real estate agents. In a candid and forthright manner, Peter lays bare the tricks and traps that await consumers in the real estate world. But he doesn’t just reveal the dodgy methods, he also reveals how consumers can protect themselves and how they can turn-the-tables on the agents. This book is essential reading for anyone who’s thinking of going within a hundred metres of a real estate agency. This book is not a defence of the real estate industry nor is it an attack. Survey after survey reveal real estate agents are some of the least respected professionals in the community. There is a reason for this lack of respect. It can be traced back to the industry’s sales strategies; these are the systems of traps and tricks that make the uninformed entrant to the real estate game significantly less wealthy. In the following pages, those very strategies and their well-honed tactics will be explained in detail. After reading Real Estate Uncovered, I hope you will be confident in knowing exactly how to avoid the worst of the industry’s bottom-dwellers and able to seek assistance from one of the many professionals who do the right thing by their clients, not once in a while but every day, on principle. Real Estate Uncovered is not designed to inundate you with all the answers. There is already too much information confusing many people endeavouring to buy, sell and invest in real estate. This book is designed specifically to ensure you can ‘read the play’ when dealing with real estate agents. Property sales is a highly competitive industry. Listings are the lifeblood of a real estate office. This is why there are more brochure found in letterboxes asking you to sell your home than these are brochures asking you to buy. Often when an agent gets a listing, they have either overpromised the selling price or the owner wants to sell above the market price. To condition both buyers and sellers to accept the market price, the industry has devised a bag of tricks. These strategies and their often unsavoury tactics will be laid bare in the following pages. What you once viewed as a normal real estate practice before reading this book may now be viewed in an entirely new light. The real estate industry is masterful at recreating its own message as news. Has there ever been a time when an agent told a buyer it is not the right time to buy? This book is designed to help you cut through the hype in order to make an informed decision. Linda and Ralph owned a very desirable home opposite a harbour-side park in Sydney. Friend and family assured them the sale of their home would be a certain success. After interviewing several real estate agents, they selected the highest profile agent – the one who `handled the top end’. After speaking with many agents, the consensus was strong. Ralph and Linda were told they would be `mad not to auction’. Auctioning their beautiful home was against their natural inclination. However, given the agents universally agreeing auction was the preferred selling method, they went with it anyway. To kickstart the sales campaign, they provided their credit card details to pay for marketing upfront. The $7161 `investment’ would be deducted from their credit card a week before the auction. The agent had quoted and expected selling price of $1.35 million to $1.45 million. Given the positive feedback from anyone who had ever inspected the home, the thought of the auction failing was never considered by Linda and Ralph. Spending more than $7000 on marketing was not deemed to be much of a risk. As the property was released on the market, the agent told prospective buyers the property would attract bids of $1.2 million plus. The homeowners were assured by their `experienced’ agent this was merely a tactic to engage buyers. The property would achieve the originally quoted price of $1.35 to $1.45 million, the agent told them. Again, Linda and Ralph went against their intuition. The marketing campaign was rocketing along. The property was advertised in a multitude of magazines and newspapers, Neighbours had been given a `Just Listed’ card and the property was prominently displayed on the Internet. Hundreds of people poured through the open inspections. However, the feedback from prospective buyers was surprisingly negative. The agent dutifully informed Linda and Ralph of the buyers’ multiple concerns. The bus route past the front of the house, the obvious renovation costs of updating the home and the market conditions were apparently uppermost in buyers’ minds. These were all concerns the agent failed to mention before listing the property. As the auction day approached, the optimistic agent morphed into a concerned agent who has never quite seen a downturn like this one. On auction day, bidding began at $1.1 million. A massive crowd had congregated to watch this well-publicised event. Linda and Ralph now realised their initial intuition about auctions was correct. As the bidding stalled at $1.215 million, the auctioneer and the lead agent gave them an ultimatum. Drop the reserve price in order to sell to one of these buyers or risk losing the buyers and waste the marketing investment in the process, they told the homeowners. Real estate industry strategists like the words `crack’ and `crunch’. The pressure of a scenario like this is specifically designed for sellers to `crack’ so they can be `crunched’ on price. You will never read these phrases in an agent’s brochure but rest assured they are keen terms used behind the industry wall. Linda and Ralph instinctively knew this was not a unique experience. They realised they were being had. The couple was not happy to waste the `marketing investment’ (which promoted the agent more than the house) but they were certainly not doing to be bullied or fleeced. Instead of dropping their reserve price to `meet the market’ on the day, they fired the agent. When the couple spoke about their ordeal with their next agent, they were left in no doubt they had been subjected to a selling strategy that seems harmless on the outside but is rotten to the core. How that system works will be explained in the full Real Estate Unconvered. There were two bidders at Linda and Ralph’s auction. Both of these buyers spent money on checks and searches in the hope of securing the property. As the bidding reached $15,000 above the agent’s quoted price during the campaign, the buyers believed the property should have reached the reserve. When the property was passed in, the two bidders also became victims in this messy tale – a tale that is repeated Saturday after Saturday at auctions around Australia. The real estate industry deems a 70 percent clearance rate as healthy. On these numbers, that would suggest 30 percent of auction sellers go through the same system Linda and Ralph did. Their story is true and it is not rare. I have heard this exact scenario so many times in 15 years that I can tell the story more clearly than the victim. Many auction victims are amazed when we talk for the first time and I can tell them in vivid detail what they have just been through. That’s when it dawns on them they have been drawn into a brutal selling system. This is a system that over-quotes sellers, conditions them into expecting less and crunches them on pricing, under-quotes to buyers, profits on needless advertising and eventually perfects a sales process that undersells the paying client’s major asset. Selling or buying residential real estate will always be an emotional transaction. But it can be done in a much fairer and more effective way than industry strategists have made it in the past. Linda and Ralph armed themselves with the right information when they re-listed their home. They had the second agent carry the advertising costs, they set a fair asking price and they sold for $1.325 million after four weeks of relisting. The buyer did not come from a wealthier part of town nor did they magically fly in from Hong Kong or Shanghai to overpay for a piece of real estate. The buyer was having a picnic in the park across the road one Sunday and noticed the signboard at the front of the property. The real estate game can be both as easy and as expensive as it was for Linda and Ralph. You have decided to sell, so how should you go about it? 9 To price or not to price? 18 That sounds good. Can you put it in writing? 22 What makes a good real estate agent? Which offer should you accept? 27 First buyer, best buyer? To auction we go… or is there a better way? 50 Is this the one for me? 54 Are you working for yourself or for the bank? When selling a property most people suffer from two conflicting emotions. The pleasure of a quick sale is apparent — the relief of making a decision, doing the work, investing in the sales process and achieving a great result in less than a month is tangible. Yet the pain of fearing you have just undersold your major asset in a rush is also real. This leads us to the big question: is ‘time on the market’ the key to getting the highest price possible for your property? The answer to that is found in understanding the market conditions at the time you are selling. Time is continuous, unemotional and inflexible. In a market where prices are rising, time is your friend. Time will help carry you towards your price goal. In a falling market, time is your enemy. It will stifle your price goal, erode your equity and destroy your confidence in being able to sell your home. In a falling market, the longer you leave your property on the market unsold, trying to hold out for yesterday’s price, the more opportunity you give it to drop in value. Even in a rising market, a property that remains unsold for a long time may become a lemon in the eyes of buyers. If left to go stale it will often take a massive reduction in price to stimulate buyer activity. Many industry experts claim that the key to achieving a successful sale is the correct balance of three essential components. Getting your pricing strategy correct will do more to achieve a quick sale than a slick campaign or a titivated house in a turbulent market. If a sale is not achieved in the first three or four weeks, the seller may need to either reconsider their pricing strategy, wait for new buyers to enter the market or withdraw the property from sale. Waiting for new buyers to enter the market can really blow your ‘time on the market’ right out. Most sellers would love to see multiple buyers bid strongly for their property and force the price up. Here is an example of a selling strategy that attracted multiple buyers and a quick sale. Mark was keen to establish a correct market price and sell his townhouse in Glebe, in Sydney’s trendy inner west. He knew that by quoting an attractive and realistic price, multiple buyers would be ready to inspect, make offers and negotiate. The existing offer was just too low for them to accept. The agent had put them through an aggressive conditioning process to lower their price which made them feel that staying on the market with that agent was not going to result in a happy outcome. Paul and Lindsay decided to withdraw from the market until the agent’s agency period ran out. This was painful as they effectively wrote off the $6000 they had spent on advertising. Four months after that experience, Paul and Lindsay relisted their home. They used another firm, one that did not charge commission or advertising unless they were able to achieve a sale. The market had improved by a few percentage points and now the property was a fresh listing as opposed to failed auction stock. Within three weeks of re-listing, the sale was concluded at a price in excess of what had been previously rejected. When sellers price accurately, there is a power shift away from buyers towards sellers. Attracting multiple buyers who try to buy your property because you had a realistic pricing structure can pay great dividends. The final sale price can be pushed up to what you may have thought was unachievable in the first place. The beauty of beginning with a realistic pricing strategy is two-fold. First, it allows you to achieve a quick sale and second, buyers suddenly focus on how much they are prepared to pay for your home. This is a much better sales strategy than you focusing on how much you are prepared to drop your price in order to achieve a sale. Having multiple buyers trying to buy your property assures you of obtaining the highest price possible. Bargain hunters love sellers who haven’t learned the ‘time on the market’ lesson. They also love to watch a falling advertised price. There is no problem if bargain hunters don’t like your price. However, it is counterproductive if fair-minded buyers reject your property on price. One of the worst ways to market a property is to load the initial asking price with the intent of coming down in price over time. Unfortunately, this is what most people tend to do. The best buyers will reject your home based on its initial high price and are unlikely to return later even when your price has been dropped to a fair market price. Those buyers will have moved on and bought other realistically priced properties. If, at the completion of your marketing campaign, your property remains unsold and you are unhappy about the price buyers are offering, simply do what most smart sellers do — don’t sell. If you are a home buyer, what do Brighton, Box Hill or Broadmeadows in Melbourne have in common for you? What about South Brisbane, Spring Hill and St Lucia in Brisbane? Perhaps Hackney, Heathpool and Hectorville in Adelaide or Belmont, Bentley or Bellevue in Perth or Balgowlah, Ballina and Balmain in Sydney? Other than being in alphabetical order these suburbs have no commonality for a home buyer. They have no connection geographically, nor are they likely to have similar features, characteristics and location advantages for buyers considering purchasing in any one of these suburbs. Yet magazines produced by real estate agencies continue to promote homes in suburbs across an entire metropolitan region in each capital city. Whenever you see mass advertising like this, mass wastage of sellers’ money is taking place. Real estate magazines like these are incendiary devices, highly flammable and ready to burn a house-sized hole in your wallet. Once you understand what is happening here you will be able to avoid becoming a victim. Some agents will tell you their in-house marketing has a massive reach. Printing 15,000 copies each week gives the magazine a potential circulation (mainly via cafes and shops) of 15,000 people. This is not a database of 15,000 qualified buyers nurtured by a proactive real estate agency that hones its ability to follow up and close sales. This is a demand from an agency or franchise that wants you to fund their brand recognition campaign to potential clients. Furthermore, they make a profit from selling the advertising space to you. And this demand is likely to heighten as more agents lose revenue from advertising in traditional newspaper channels. At the same time many are discovering there are big profits in becoming publishers themselves. One high-profile Sydney firm swears by them; the advertising profits derived from a 130-page weekly magazine are undeniable but does it help to sell houses as well as an online ad? Interestingly, on the firm’s Facebook page they posted an article in March 2013 that stated “The internet has now obliterated print – the game has been won – 92% of buyers use www as their primary search tool”. The likelihood of time-abundant random coffee drinkers and shoppers flicking through free real estate rags and finding their dream home then calling to close the deal is improbable. Quite close to miraculous in fact. To spend thousands of dollars advertising your property to thousands of non-prospects with no ability to follow up those prospects is a flawed marketing strategy. Look out for the push to ‘take out a page’ in an agent’s vanity publication; it couldn’t be a bigger waste of money. Competition increases prices. Agents know it and they use competition to achieve a better price. That’s their job, after all. As a buyer, it’s harrowing when you can’t accurately determine the legitimacy of the agent’s oft made claim ‘there is another buyer’. If you swallow the ‘we have another buyer’ hook, it can cause you to react irrationally and potentially overpay. To dismiss the threat entirely can also cause you to miss out on your dream home if there really is another buyer lurking in the background. In a strong seller’s market, buyer competition should be expected. There is little doubt you will need to produce the goods in a timely fashion to secure your new abode. The reverse, of course, is true in a soft buyer’s market. A lack of multiple buyers for any property is essentially why the auction system fails; it sends the loudest possible message that the property is uncontested above the closing bid. To navigate the negotiations well, there are a few simple rules you can keep in mind when faced with the ‘there is another buyer’ situation. Remain open to all possibilities. There may not be another buyer, but there also may be. Just don’t form a strong opinion either way because you may increase the risk of being blind-sided. Focus on what the home means to you and what it is worth to you. Disregard what other buyers may or may not do and what they do or don’t think the home is worth. Like all competitive scenarios, if you focus on the opposition, you are more likely to make mistakes. When making an offer, don’t play games with what you think other competing buyers may offer. Decide what is more important to you — buying the right home in the right location or risking the purchase to try and save $10,000 or $20,000? Offer your best price for the home and walk away if the vendor does not accept it. Submit your offer on a contract. Give the owner and the agent an offer that can be banked. Many buyers claim they will pay a certain amount for a property, but when they are called upon to do so, they vanish. If you turn your offer from verbal interest into a legally binding contract offer, you up the ante on the competition. Sometimes, a lower offer will secure the property because it’s a deal on the table as opposed to someone else’s non-binding intent. Remain calm. Irrational thinking is the enemy in a competitive situation. This can be hard if you feel you are being deceived. If another buyer is prepared to pay more than you are willing or able to, emotionally let go of the property. The other buyer may not complete the deal and you can then re-enter negotiations from a much stronger position. You may even find a better home in the meantime. If you are confused by the sudden interest in the home, identify what may have caused the renewed interest. Has there been a recent price reduction or interest rate cut? Did a recent sale elsewhere suddenly justify the vendor’s asking price? Have the owners done some minor renovations or repairs which enhanced the presentation? Has the market experienced a slight upturn in confidence? Handling this type of buyer is tricky, because they are simply waiting for other buyers in the market to make a move which may or may not justify the vendor’s price expectation. The agent handling the sale needs to be very aware of this tactic some savvy buyers employ. The first acceptable offer is the hardest to get onto the negotiating table. Once the agent is in possession of an acceptable offer and working towards closing the sale, the interested buyers on the sideline can be induced into making their move. This is when a lethargic campaign can come to life, surprising the buyer who thinks the agent is all bluff and bluster. When a property remains on the market for a long time, it is usually because the owner is looking to sell at a price higher than what the market is prepared to offer. Most buyers, however, are not prepared to pay above market price for any property unless they perceive that the market is rising by a percentage point or two. Then, suddenly, an ‘overpriced’ home can become well priced. This question can cause some buyers to form negative and incorrect opinions about the property. For example, unique homes require buyers with the same unique criteria. It can take time to find such a match. To question the merits of a stunning home because it has not sold within 60 days can sometimes be a mistake. To watch a property flounder on the market, only to be told there is another interested buyer just as you make an offer, seems to be a dubious ‘coincidence’. But that is often how it goes. A price drop, a slight increase in market confidence, or an improvement to the property can spur on a new brigade of keen buyers. Yes, some agents will lie. They will say there is another buyer when there isn’t. In nearly all circumstances, the agent’s lie will come to the surface in time. Creating a competing yet non-existent buyer is the most incompetent negotiation tactic an agent can use. An agent who lies will have their lies exposed the more you engage with them. Don’t email back and forth with an agent, talk directly with them. Ask lots of questions and take journal notes. The truth, whatever it may be, will soon become apparent. There are agents who will tell you the truth. Even though a home has been on the market for three months, three new buyers are ready to make offers. An agent may even tell you the details on how improvements to the economy, or the property, or both have increased its prospects. Agents will also often tell half-truths, such as, another buyer offered more than what you have. The half-truth being that the other buyer made the higher offer six weeks ago and has since bought elsewhere. Playing the game of real estate poker does require a couple of talents: the ability to smoke out a lie and the skill of calmly playing your own game without worrying too much about your competitors. These are skills worth honing if you intend to win. 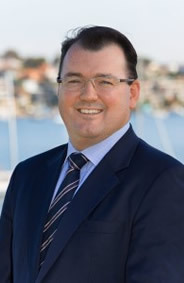 Peter O'Malley entered the real estate industry at age 19 in 1997. Within seven years, he bought the estate agency in which he worked. In his sales career, Peter has sold more than half a billion dollars worth of real estate. He has never charged a home seller a single dollar in upfront advertising costs. His opinion is often sought by the media. Real Estate Uncovered is his first book. don't want you to read. You've heard the spin, now get the facts! gain the right knowledge to make informed decisions. PETER O'MALLEY is the bestselling author of Real Estate Uncovered, the principal of Sydney-based agency Harris Partners and the pioneer of the silent auction, an alternative to public auctions, now preferred by many agents throughout Australia and New Zealand.